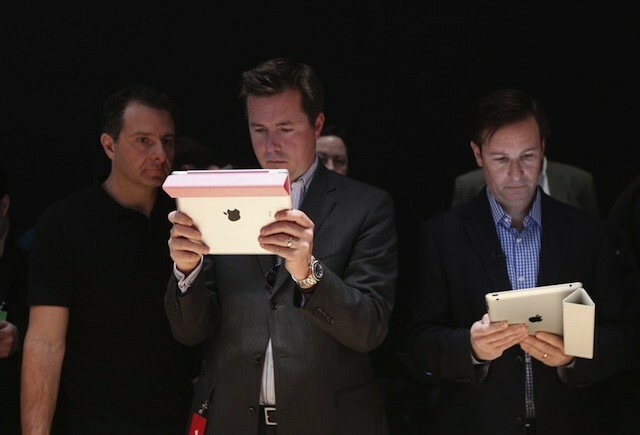 The iPad currently dominates the business tablet market so thoroughly that you can pretty much call it the entire market. A big point of debate in many business and IT circles is how long Apple will be able maintain such a position. One research firm reframed that debate by simplifying the question. Which operating system do you think will become the preferred business tablet option over the next 12 months? 50% of respondents said that they expect the iPad to maintain its lead in business environments. The survey was conducted by IDG Connect Marketers, a business to business research firm with a focus on marketing and technology. The survey audience was marketing professionals, which represents a demographic beyond business executives and IT leaders – the typical audience for such studies. Kathryn Cave, who reported the results for IDG Connect Marketers, noted that she found the results surprising in that she had expected to see a larger percentage favoring the iPad based on previous research the firm did related to brand loyalty in the overall (consumer and business) tablet market. While the report gives interesting results, there are a couple areas that might make the data a little too shaky to be used to extrapolate trends. One big issues is that there are no responses related to Windows tablets – particularly Windows 8 and Windows RT tablets that will hit the market later this year. It isn’t clear if the question was posed without mentioning such products or if the audience simply didn’t see Microsoft as a real competitor in the space though the former seems more likely. Another is that the survey doesn’t define what it means by Android tablets. The Android tablet market includes full-on iPad competing devices like the Galaxy Tab, e-reader tablets with custom interfaces like the Nook Tablet and Kindle Fire, specialized business oriented devices like Cisco’s Cius, and the new “phablet” category of oversized smartphones. That’s a lot of different devices aimed at several specific markets.